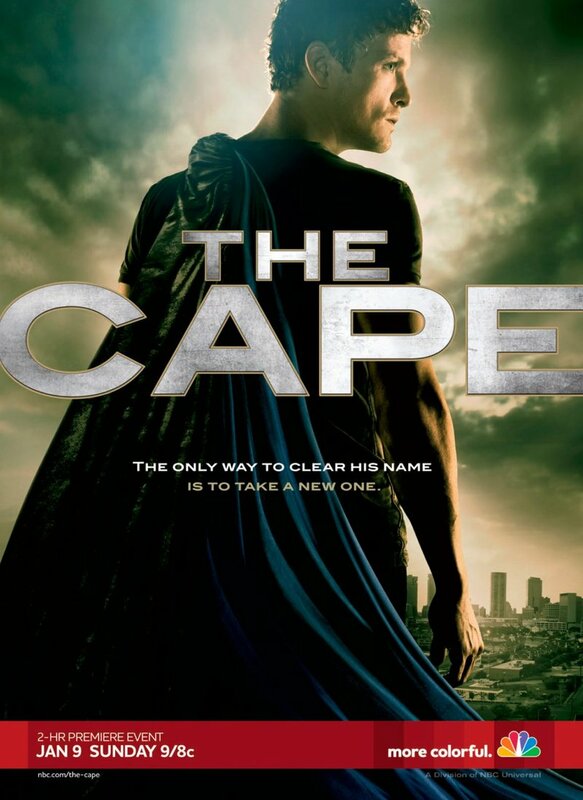 The Cape features Vince Faraday, a cop by day and superhero by night. A good and honest cop, Vince relishes the nights he can spend with his son reading superhero comic books. When Vince is framed for murder by the corrupt police force of which he's a part, he is forced into hiding. Under darkness, Vince dons a cape and becomes The Cape, a superhero who finds the justice those in the law deny. His partners in getting justice are an unlikely gang of bank robbers who mentor Vince through the darkness of their city. In the shadows lurks Vince's main nemesis, Peter Fleming, a billionaire and part-time murderer. In his quest for justice those in uniform can't provide, The Cape's greatest desire is to create a safe world for his son to grow in. DVDs Release Dates is the best source to find out when does The Cape come out on DVD and Blu-ray. Dates do change so check back often as the release approaches.